You have arthritis and it’s causing you debilitating pain in your hands. So you are looking for ways to at least reduce the pain and feel better. One of the solutions you find searching are the compression gloves. Many who tried it claimed it works really well but you want to know for sure how it works, so below you’ll find the subject detailed. Do compression gloves work? The answer is yes. They do and you’ll find out how in this article. Compression gloves help with pain and swelling by providing compression, light support, and warmth to your swollen, stiff hands as well as the associated joints. It offers a simple way to relieve your discomfort and pain due to arthritis. Compression gloves are great as they’re easy to use without any side effects that even the safest arthritis medications cannot claim. These gloves must be worn at night and the day, which allows you to wake up without pain. You’ll be ready to do anything with your hands and you will feel better all day. Compression gloves or arthritis gloves work by providing warmth and compression to your hands. The compression and warmth brought by the gloves help improve circulation and provide other stellar benefits. It helps to alleviate your hand pain and reduce the swelling in your hands and fingers. 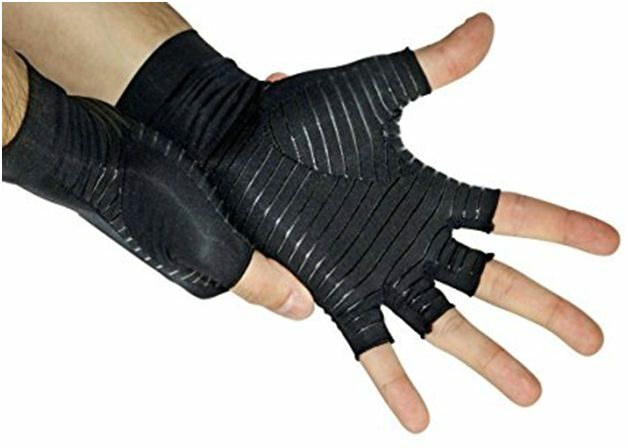 Similarly, the gloves reduce stiffness and improve the flexibility of your fingers and provide increased grip strength. Compression gloves work really well and simple that to most people it seems too good to be true. However, the compression, warmth, and improved circulation it provides are a massive help in relieving pain and discomfort. If you have a good pair of compression gloves, you can treat the main cause of your pain helping your hands function and feel better. Besides improving arthritis pain, these gloves also help cold hands and wrist hand discomfort. If you are feeling pain on your wrist due to computer work or other injury, compression gloves can help you. This makes buying a pair of these a worthy investment. On that note, you can purchase the best compression gloves in the UK from Doctor Arthritis. Get yours by visiting https://www.doctorarthritis.org/.